The program would be modeled after the U.S. military reserves. Pilots propose an initial four-week training course, followed by exercises for one weekend a month and a two week "active duty" in the summer. "After initial training, they would fly their normal trips as both airline pilots and armed U.S. air marshals," said American Airlines Capt. Russell T. Cowles in a Sept. 14 letter to Transportation Secretary Norman Mineta. Pilots argue that such a program would be cheaper than posting U.S. Marshals on flights. "It would take over 30,000 federal marshals to man every flight in the U.S.," said Mike McPadden, an airline captain who's been flying for more than 20 years. "At an average $50,000 a year, that's $1.5 billion per year for salaries, and probably double that for support and traveling expenses." 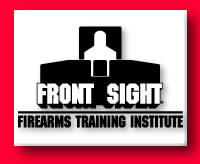 Front Sight Firearms Training Institute in Las Vegas has offered to give airline pilots free lessons in defensive handgun use. Although federal law authorizes the FAA to allow "crewmembers" who pass a training course to carry firearms, the FAA has not allowed them to do so. Airlines also have frowned on it. But in the wake of the Sept. 11 attacks, pilots unions are pressing Congress and the Bush administration to let pilots carry guns in cockpits, a move unions say could prevent such hijackings. "Under the old model of hijackings, the system worked well. That strategy was to accommodate, negotiate and do not escalate," said Air Line Pilots Association spokesman John Mazor. "But that was before [terrorists hijacked jets to attack cities]. The cockpit has to be defended at all costs." The union's guidelines were changed after Sept. 11 to say that pilots "must be prepared to kill a cockpit intruder." Mazor, who also is lobbying the FAA to replace flimsy cockpit doors, which are as thin as lavatory doors, says the proposal to arm pilots is supported overwhelmingly by union members. His union, which represents more than 67,000 pilots, sees an armed pilots program that would be strictly voluntary and require background checks and firearms training. Another union, the Allied Pilots Association, is busy working out the details of a reserve air marshal program. "We have formed a group to explore this issue as part of the Safety Committee of our union, the Allied Pilots Association," said American Airlines Capt. Scott Gibson. "We are going to have to work with the FAA, the Department of Transportation and the Department of Justice, which is responsible for the U.S. Marshals." Cowles says he first proposed the idea of a reserve air marshal program for pilots 10 years ago, after the Gulf war, in another letter to the FAA. But he said he suspects it was tossed "in the waste basket." "If it was plainly obvious to me, a former Marine, it should have been plainly obvious to anyone in our government that the fanatical extremists in the Middle East would be more determined to strike back at the United States after the defeat we handed Saddam Hussein and the Iraqis," Cowles said in his letter to Mineta, a copy of which was obtained by WorldNetDaily. Cowles pleaded with Mineta to empower pilots to stop hijackers. "I ask you to join me in this cause so I will never again have to consider the horror of my fellow pilots huddled in the back of an aircraft, dying at the hands of mass murderers, unable to protect their own lives, their crew or their passengers," he said. "If you can trust me with 100,000 pounds of explosives [jet fuel] in the wings every time I take off," he added, "I think I can be trusted to handle a firearm safely as well." Gibson and Cowles argue that a large share of airline pilots served in the military and have already had firearms training. Military pilots usually strap firearms to their legs. Officials opposed to arming pilots cite the risk of a bullet blowing a hole in the plane and depressurizing the cabin. But a retired airline pilot says fears of depressurization are overblown. "When the jets came out, their skin was designed so that if there were to be a crack or tear, the skin would only rip approximately seven inches," he said. "As far as the loss of pressure is concerned, you can have two windows blown out and still have enough differential to sustain life, since the outflow valves would slam shut to preserve the pressure," the veteran pilot said. "In the meantime, all airlines have emergency procedures to combat rapid depressurization, so that it would cause only slight discomfort." Paul Sperry is Washington bureau chief for WorldNetDaily.